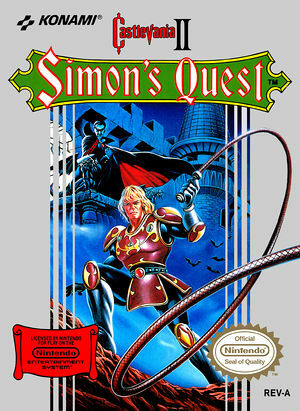 Castlevania II: Simon's Quest is an action-adventure platform game produced by Konami. 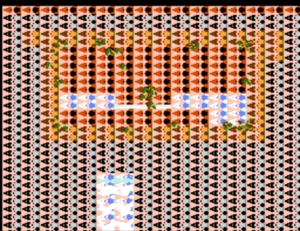 It was originally released for the Nintendo Entertainment System in North America in 1988. It is the second Castlevania title released for the NES, following the original Castlevania. Set sometime after the events of the first installment, the player once again assumes the role of vampire hunter Simon Belmont, who is on a journey to undo a curse placed on him by Dracula at the end of their previous encounter. With Dracula's body split into five parts after his defeat, Simon must find and bring them to the ruins of his castle to seal and defeat him. The graph below charts the compatibility with Castlevania II: Simon's Quest since Dolphin's 2.0 release, listing revisions only where a compatibility change occurred. This page was last edited on 2 January 2018, at 06:21.